The new Android 4.2 Jelly Bean mobile phone and tablet reference devices make use of a Broadcom NFC controller chip instead of the NXP chips Google used in earlier models. Broadcom has also contributed its NFC software stack to the Android Open Source Project. Google has chosen to use Broadcom‘s BCM20793 NFC controller chip in its new Nexus 4 mobile phone and Nexus 10 tablet. 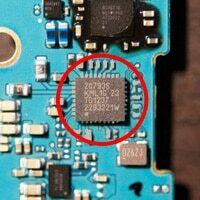 The choice of Broadcom for the new Android 4.2 Jelly Bean reference devices’ NFC chips marks the first time that Google has not opted for an NXP NFC controller since it first introduced NFC with the Nexus S in December 2010. The Broadcom chip was first announced in September 2011 and enables multiple secure elements to be active on a single phone at the same time — making it possible, should Google implement the option and carriers support it, for consumers to be offered both a mobile wallet supplied by a mobile network operator and a mobile wallet supplied by a bank, handset maker or operating system supplier. The new devices also make use of an NFC software stack developed by Broadcom, rather than the stack developed by NXP which was used in earlier devices. Broadcom’s stack is chip vendor-agnostic and is compatible with the NFC Forum’s new NFC Controller Interface specification. It has now been contributed by Broadcom to the Android Open Source Project (AOSP), allowing it to be used freely by Android NFC device makers. That said, Awad continued, there are advantages for Broadcom’s NFC chip business in terms of its profile within the Android community. “We’ve established ourselves as a leader in technology within that ecosystem”. Worth mentioning that an interesting aspect of this change is that the still quite popular Mifare 1k chips (such as that used Samsung’s TecTiles product) will not work. What NFC chips will work then? I’m searching for it atm.